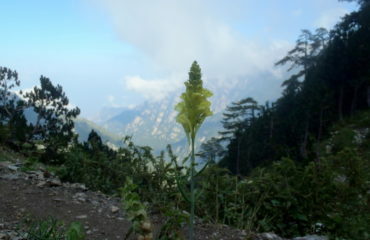 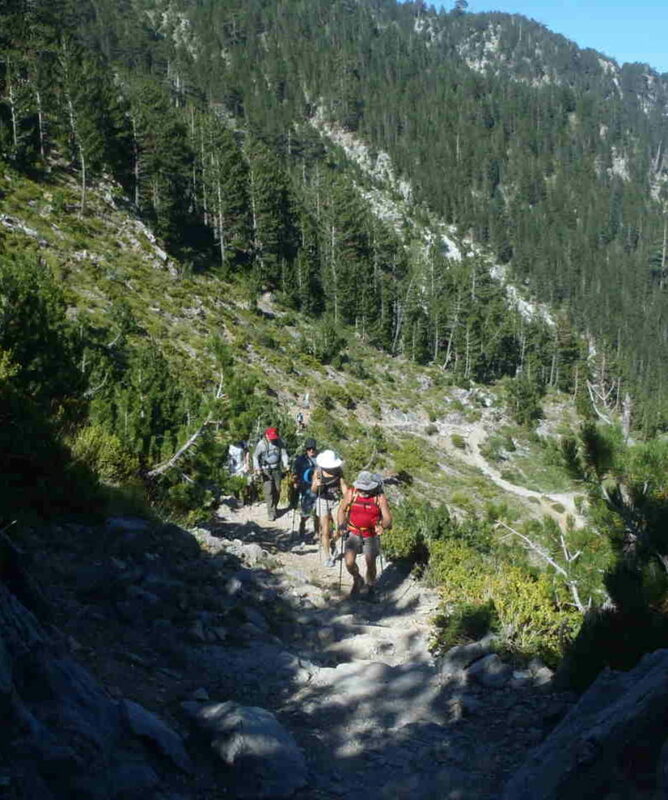 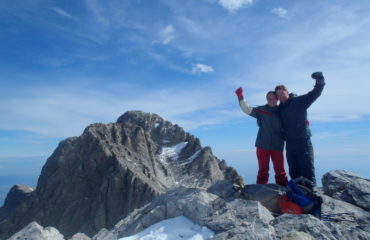 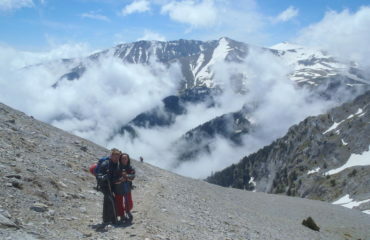 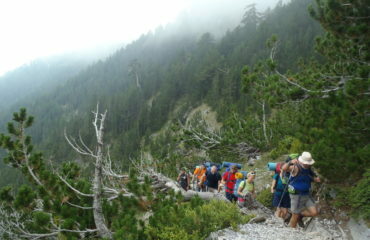 Hiking on Mt Olympus. 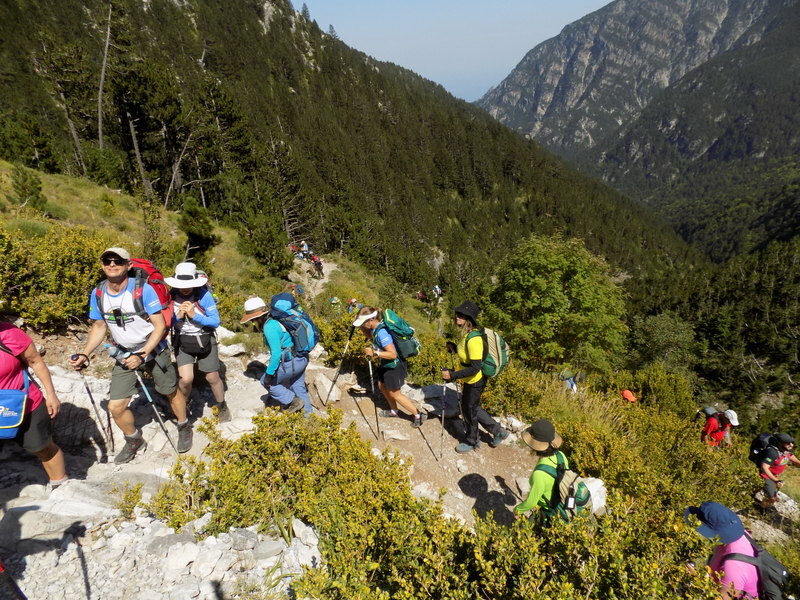 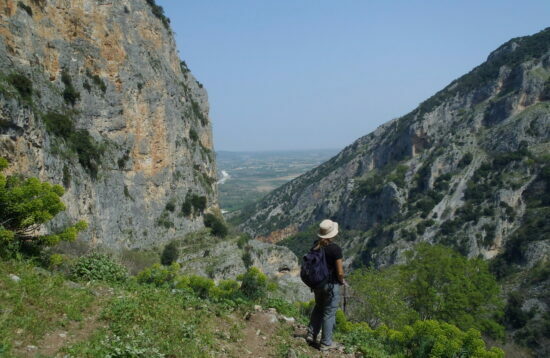 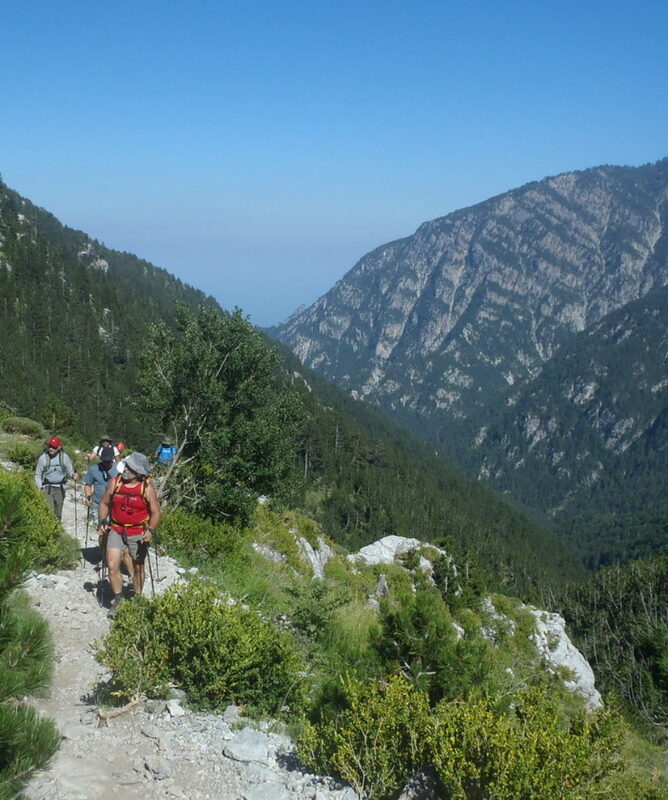 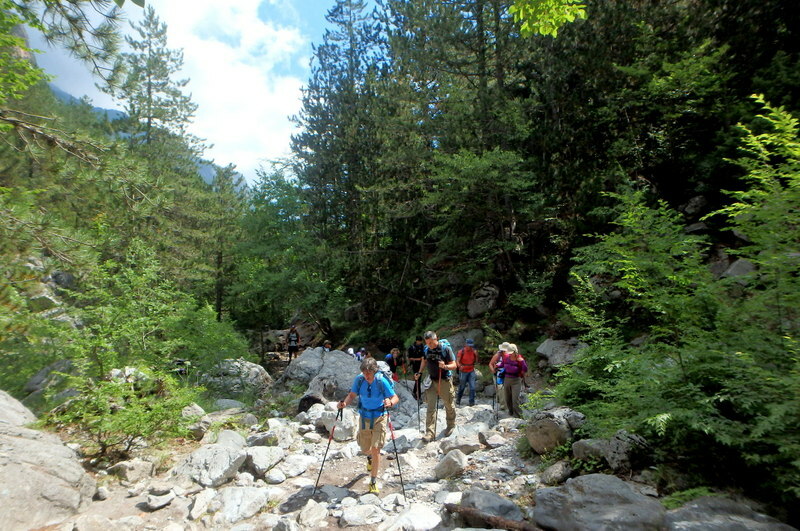 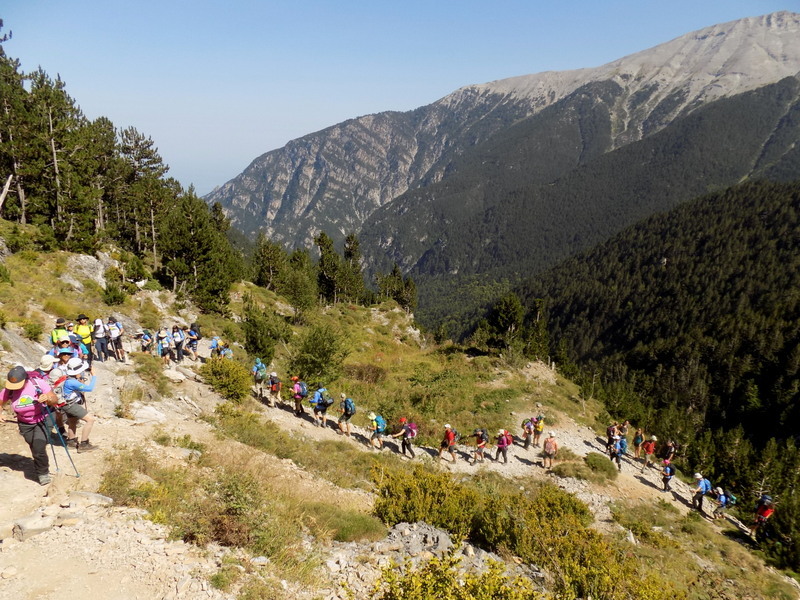 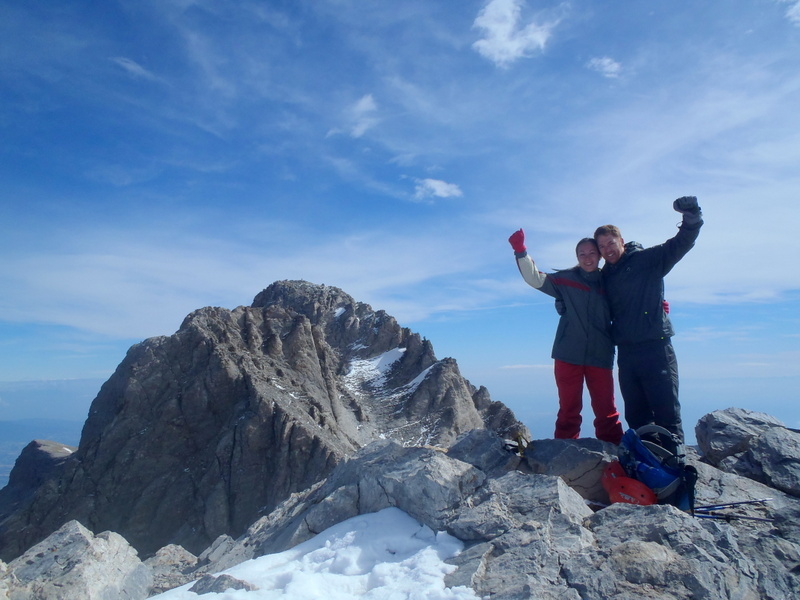 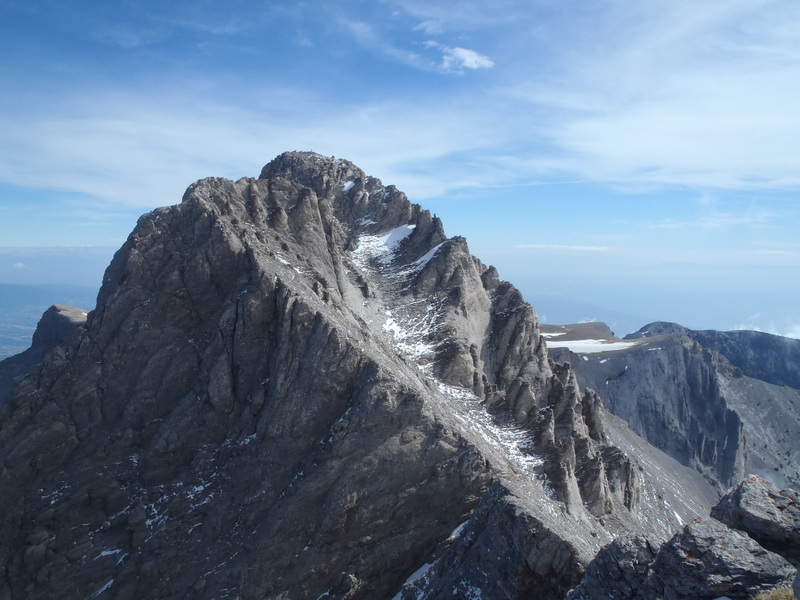 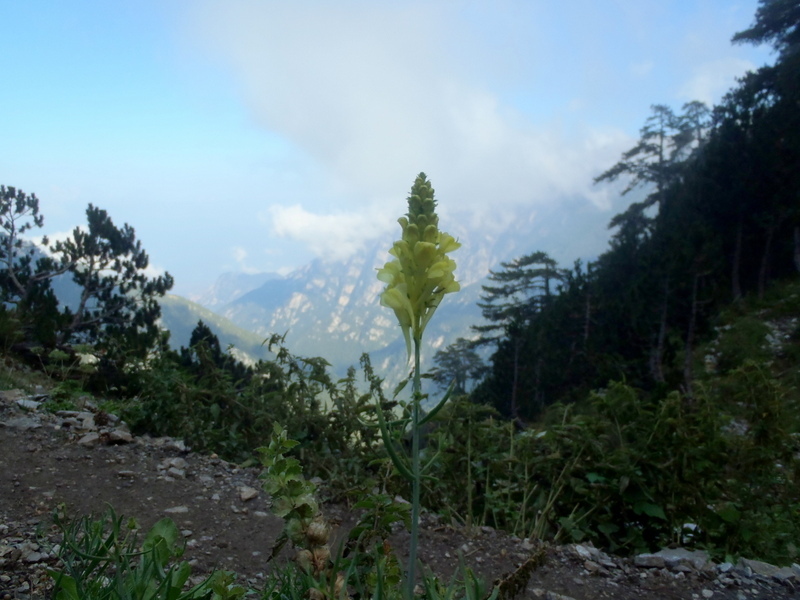 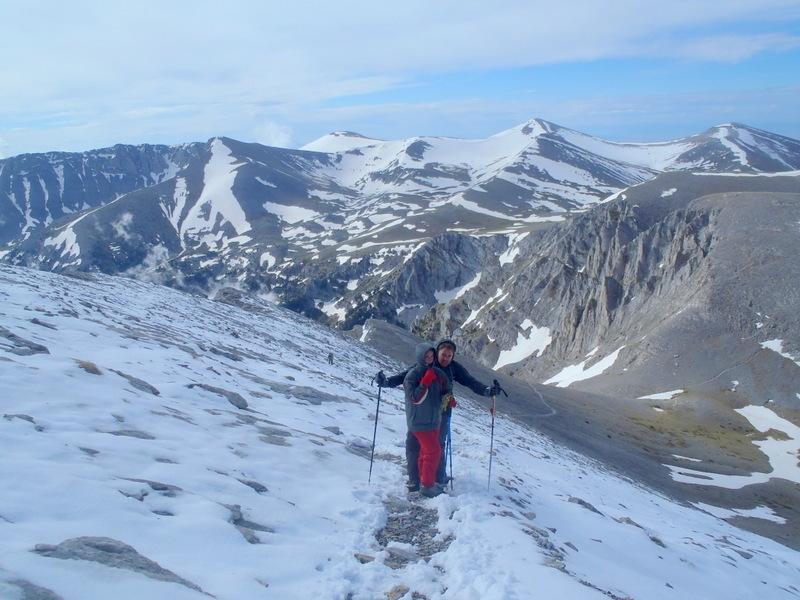 Route: One day higher Olympus hike, “Prionia location – Refuge A’ – Skala summit – Prionia location”. 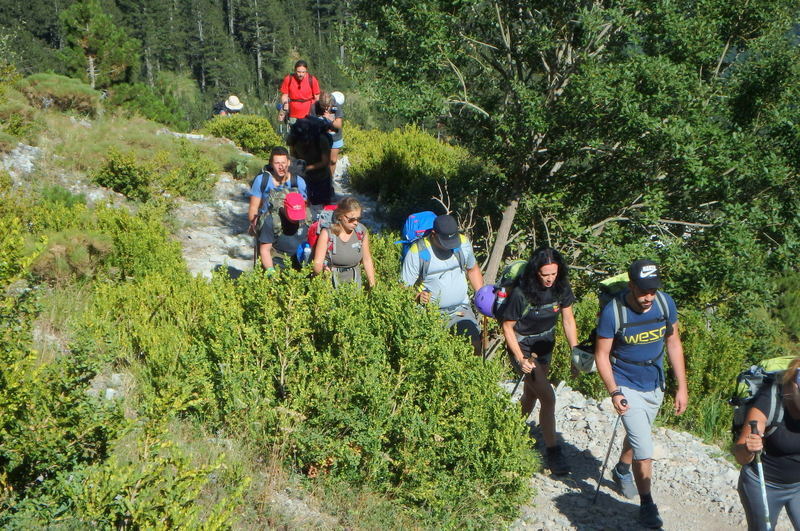 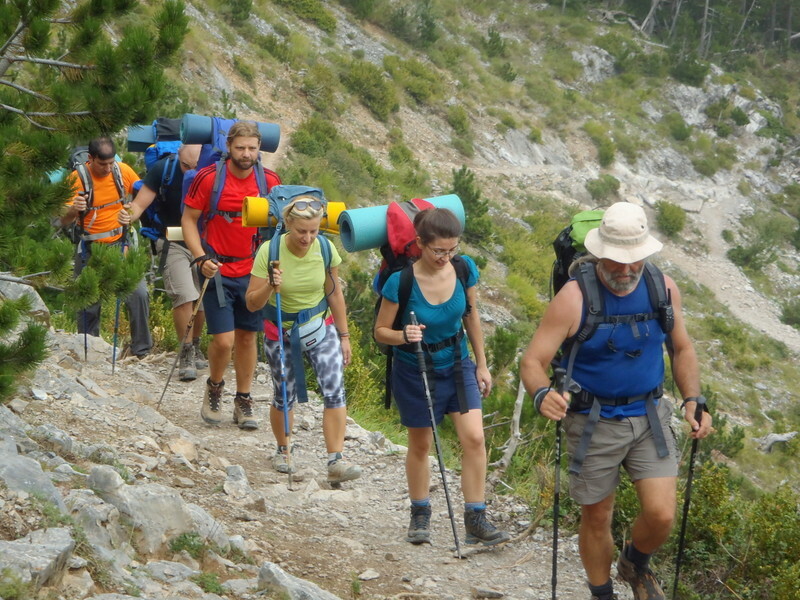 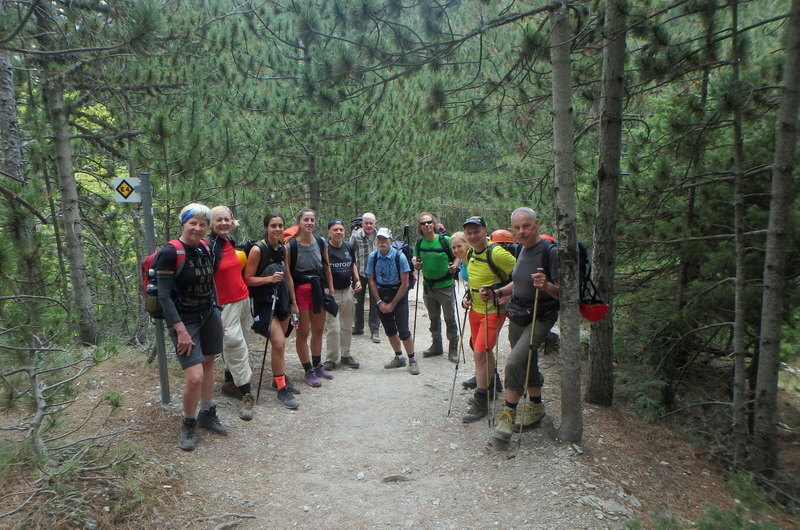 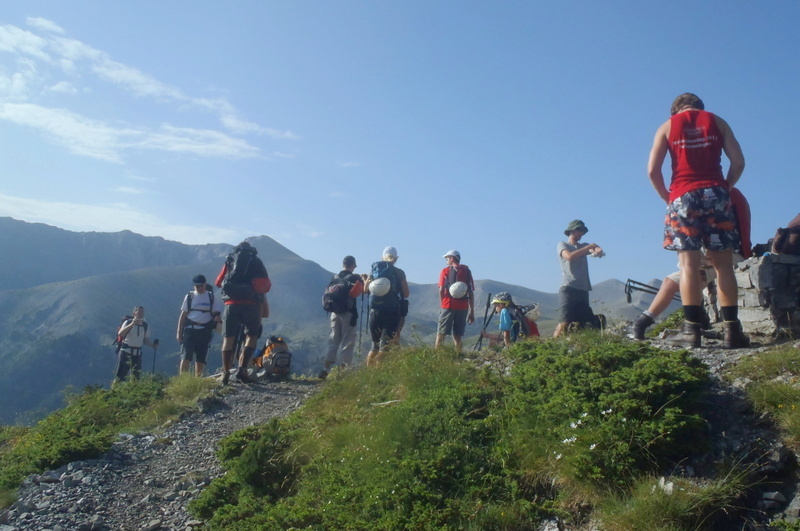 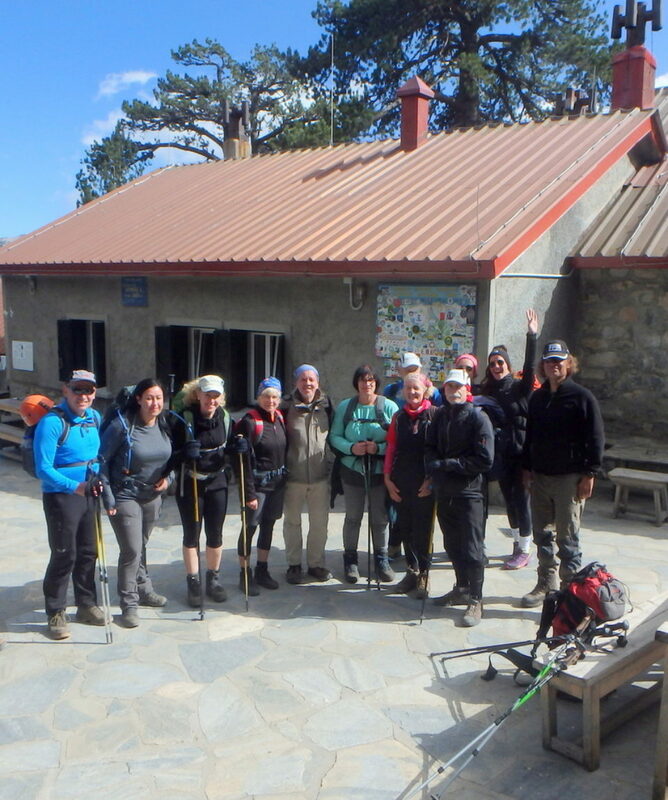 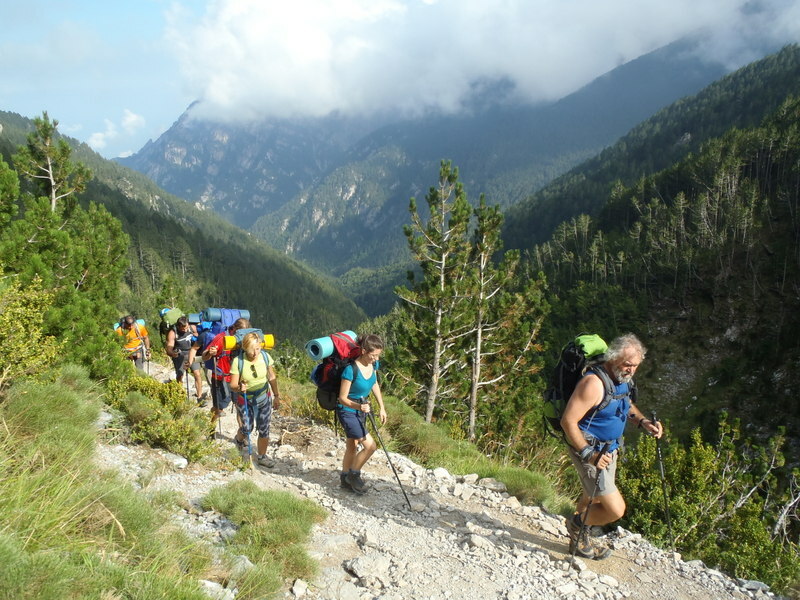 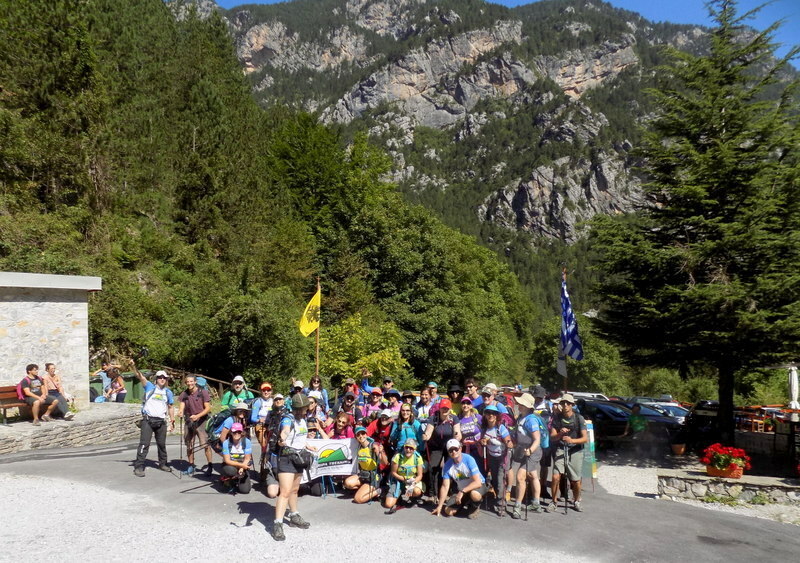 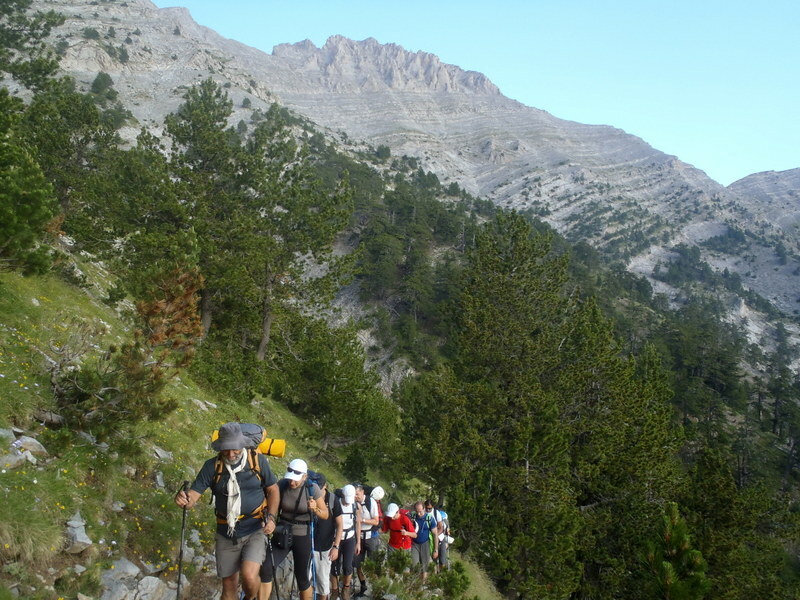 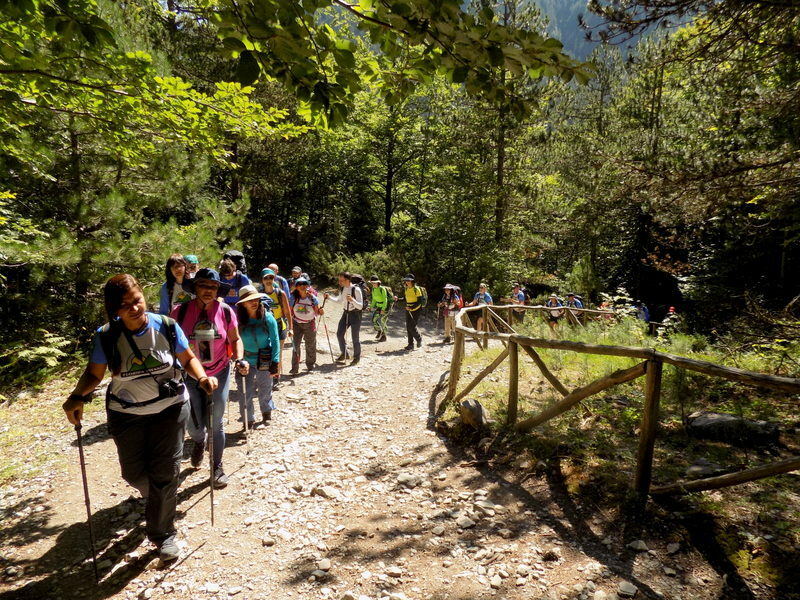 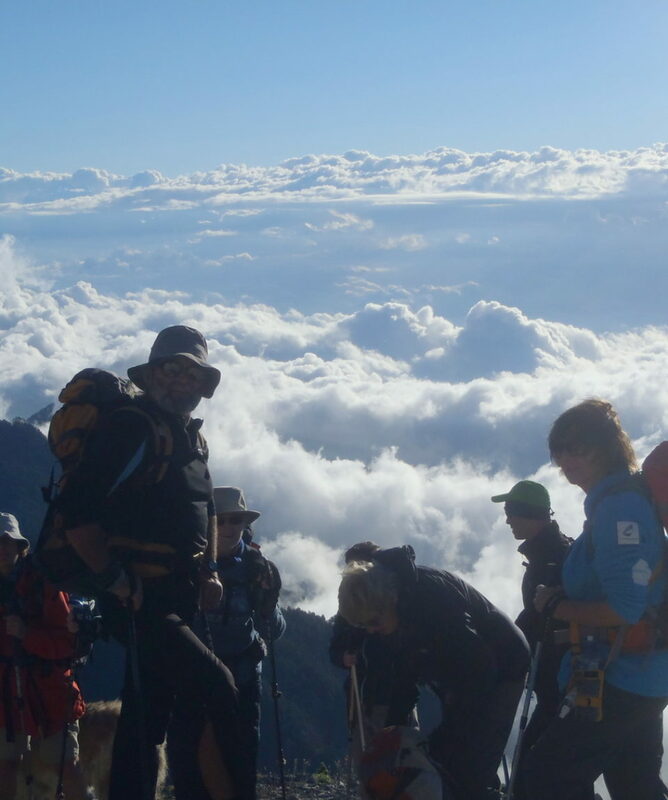 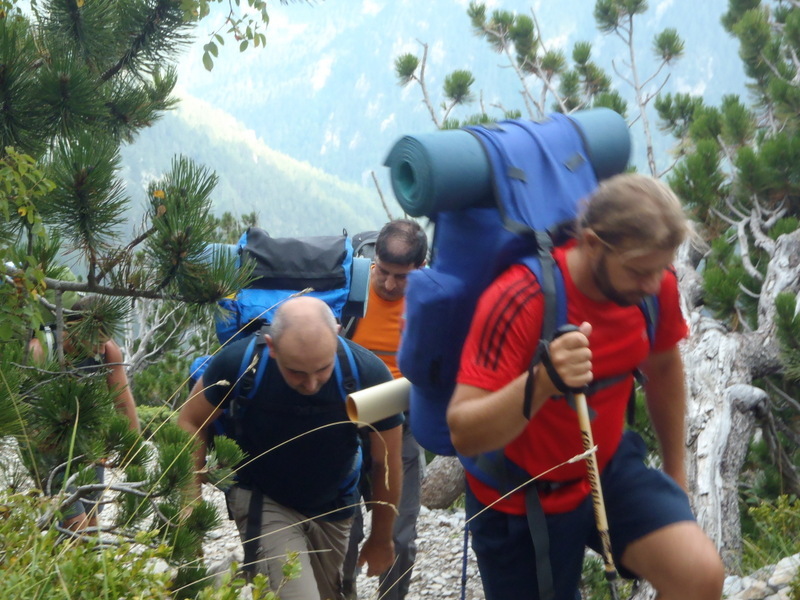 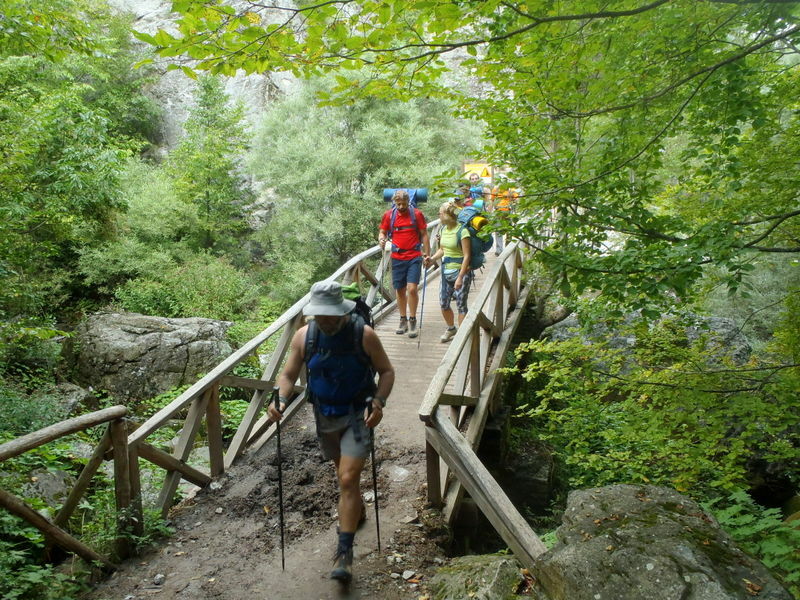 We meet in Litochoro or at the Prionia location and parking place at 1100m, where you are introduced to your guides, have the introductory briefing about the hike and the mountain itself, before we start off our walk. 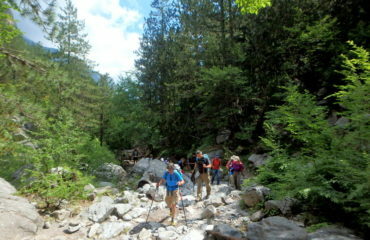 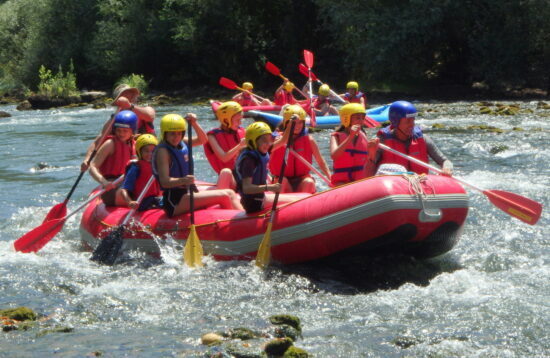 A stunningly beautiful place, dominated by impressive rock faces and enormous mountain pine trees. 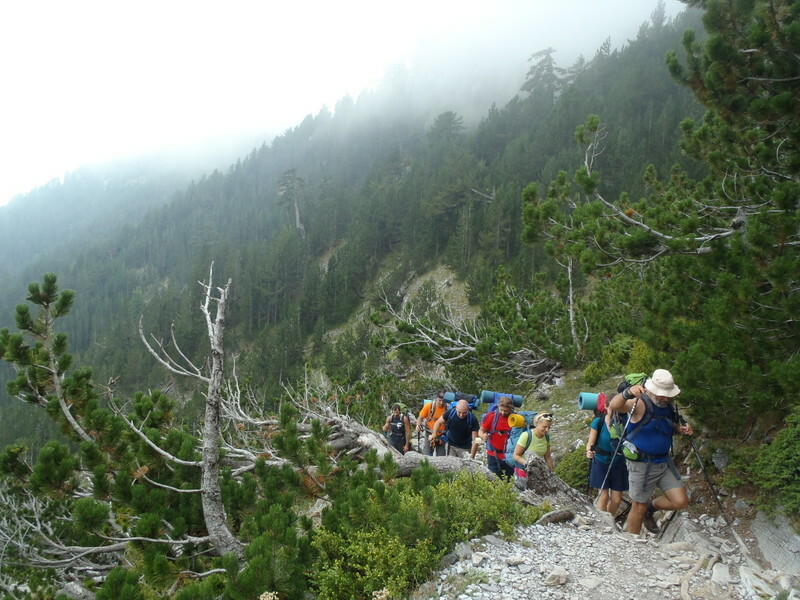 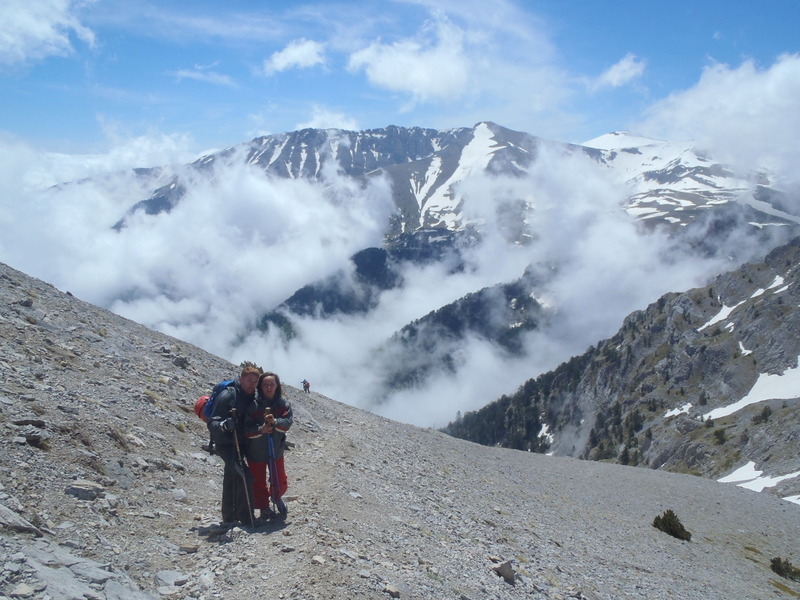 A well paved path will take us up to 2100m and the refuge A’ or Spilios Agapitos, in about 3.00’ το 3.30′ hours, a good time to cover 1000m of altitude. 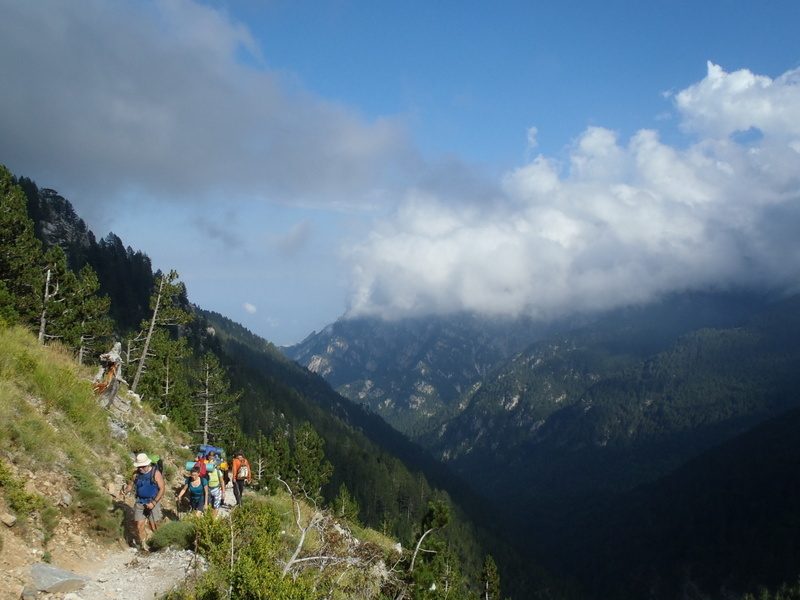 Unique views down to Enipeas gorge and the Aegean Sea, as well as the high summits above, accompany us all the way up to the refuge. 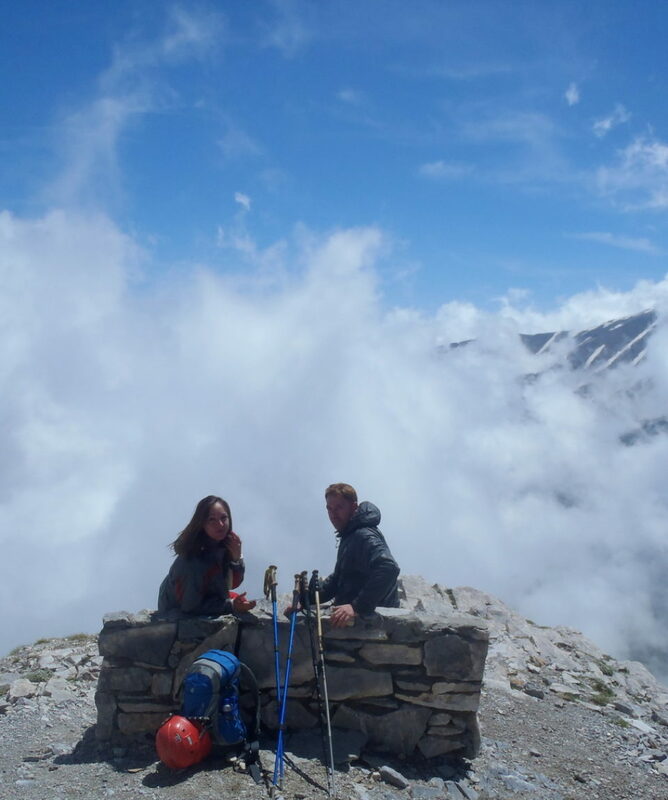 The refuge is situated on a natural balcony with amazing views all around! 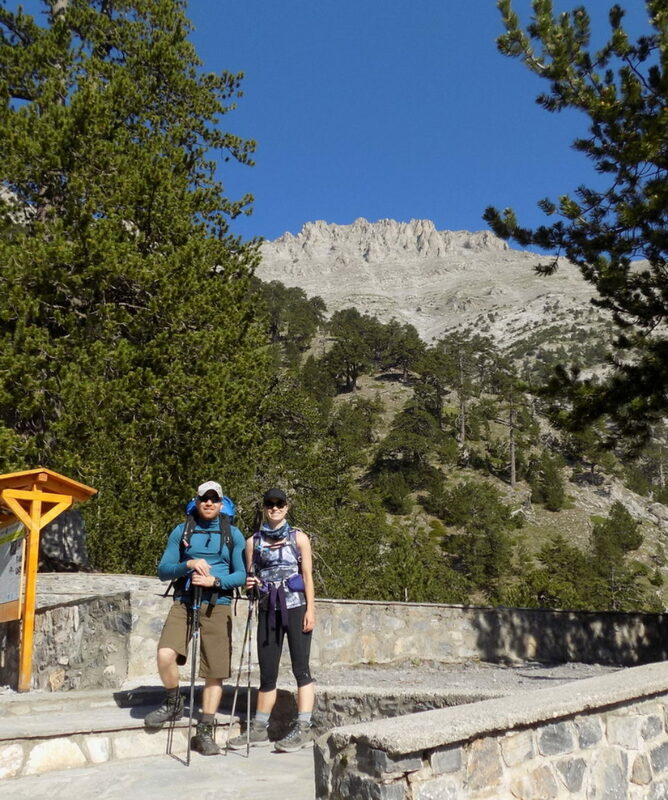 We give time to ourselves to soak the energy and atmosphere of this very special place, while talking about the endless history of this mountain – symbol. 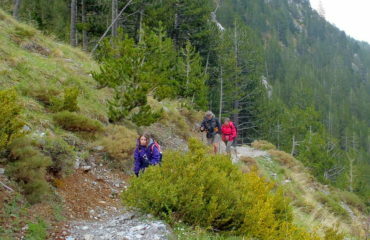 The walk is classed as moderate. 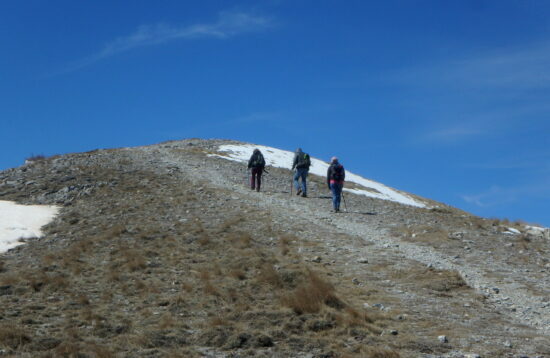 From this point onwards the ascent / hike is optional and will depent upon the time and your will. 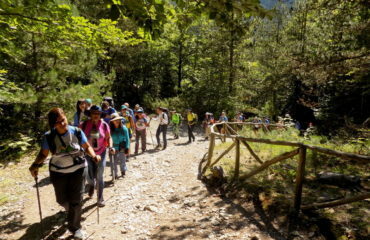 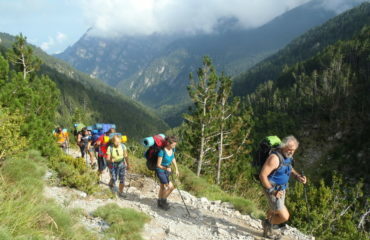 After a good rest, a drink and a light lunch, we continue up to the higher parts of the mountain, closing the high summits. 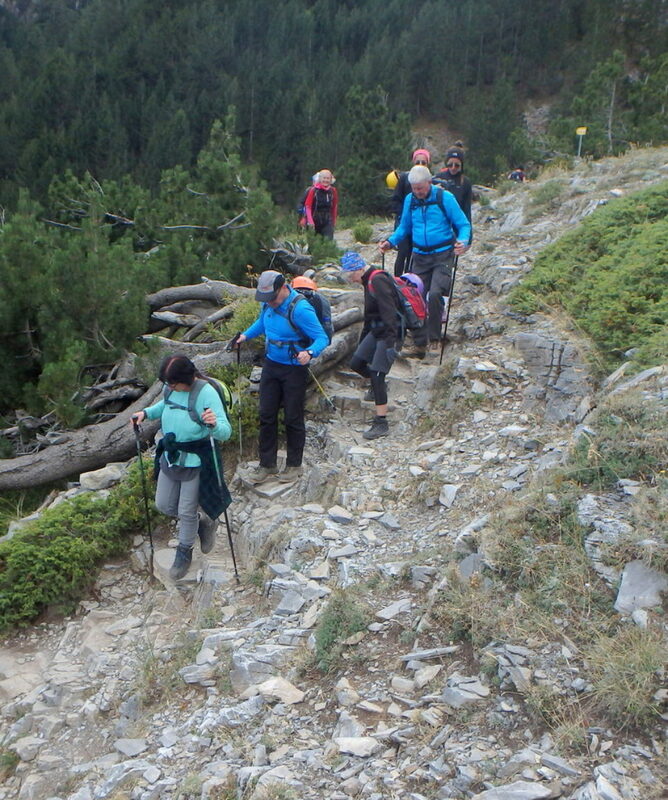 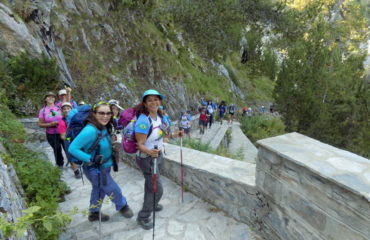 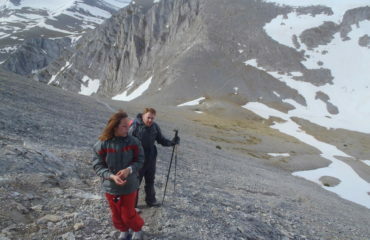 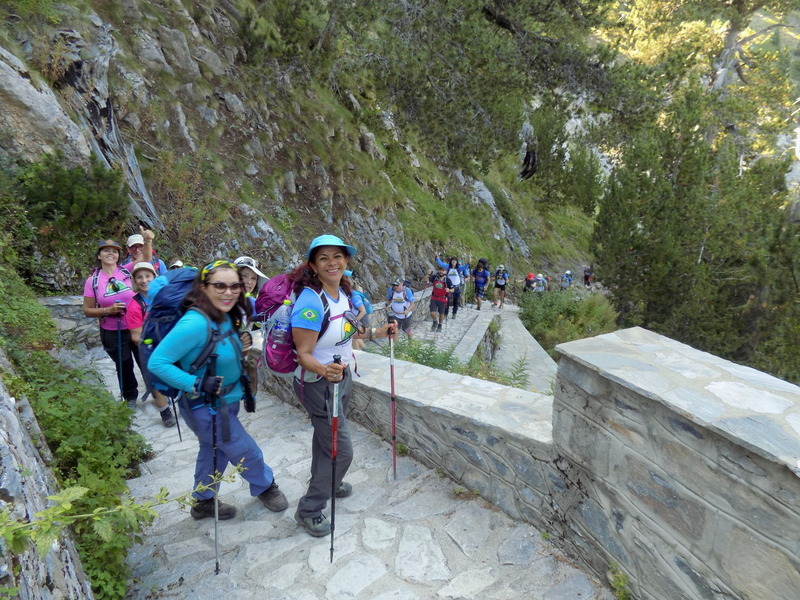 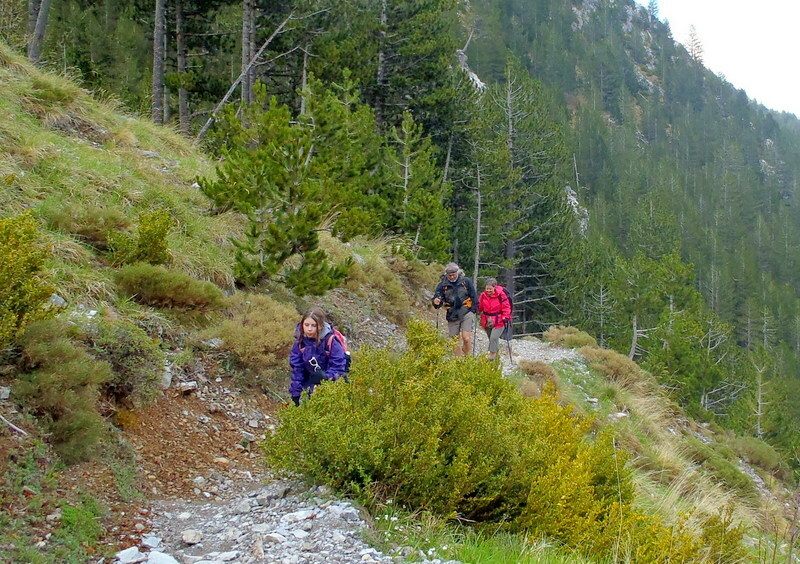 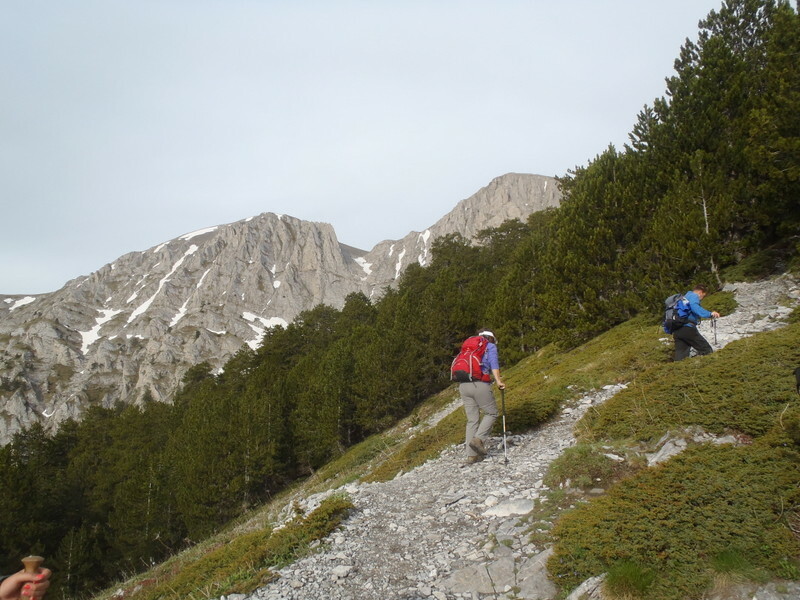 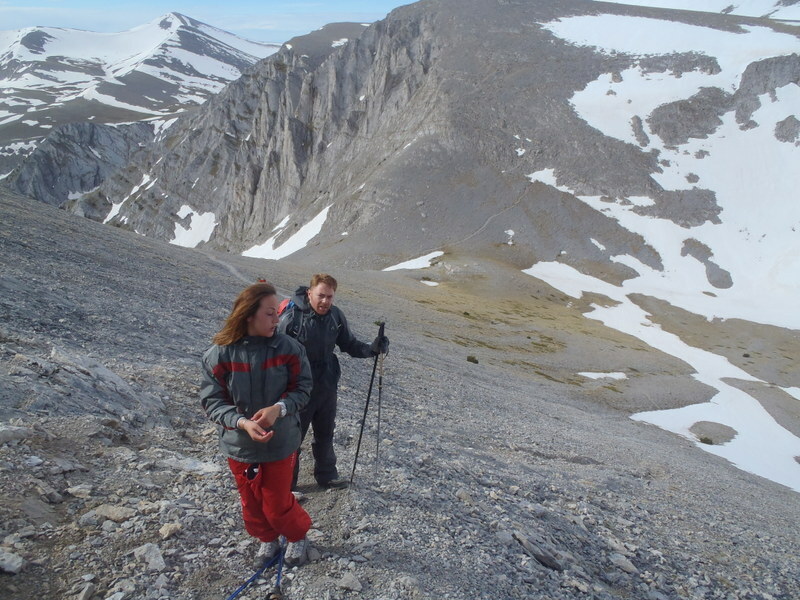 At about 2300m, we leave behind the last trees and move up in alpine terrain, aiming for Skala summit. 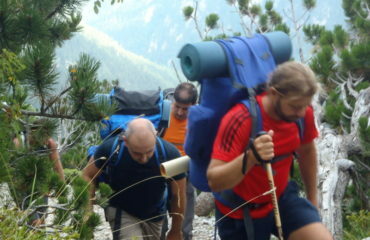 Return to the refuge and Prionia via the same route (an other 3.30’ to 4.00′ hours). 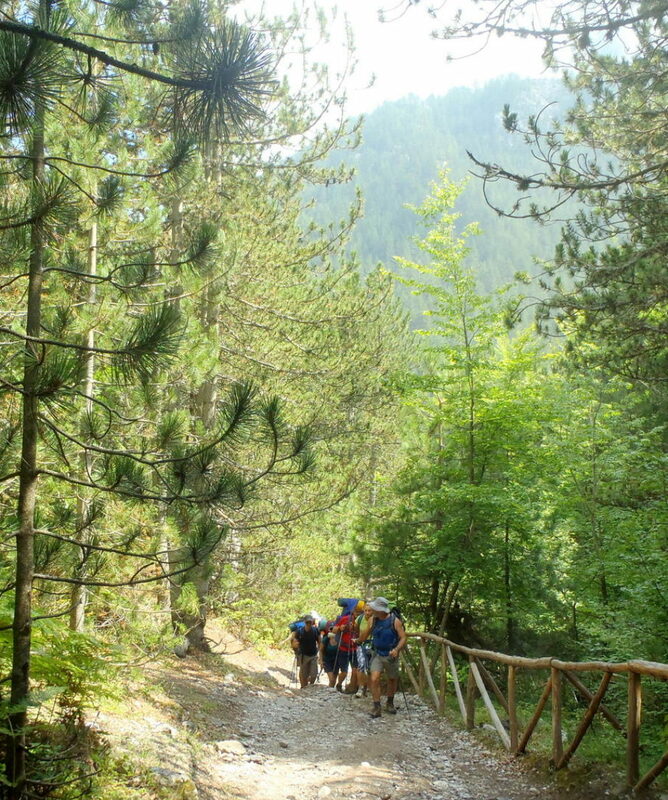 In order to fully complete this walk, there must be an early start and meeting at Prionia. 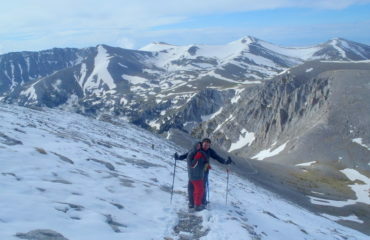 45.00€ p.p. 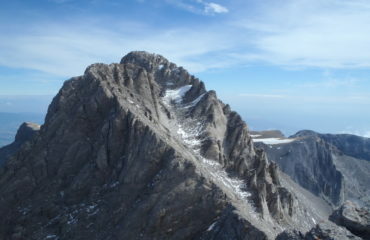 for up to the Refuge A’ and a little higher. 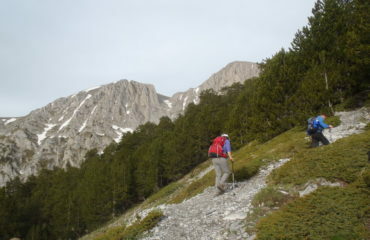 60.00€ p.p. 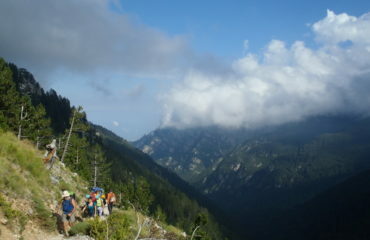 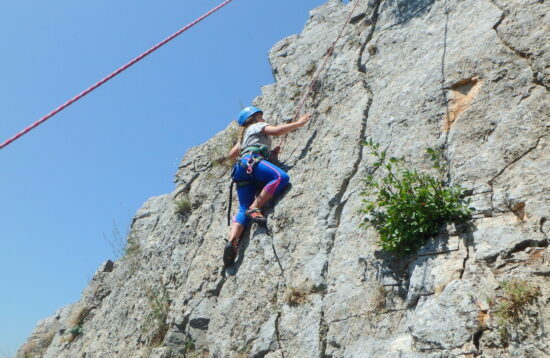 for up to Skala summit.